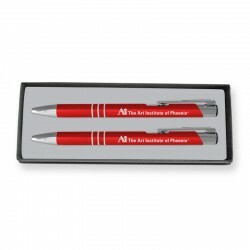 This gift set includes one Aura Pen and one Aura Mechanical Pencil. 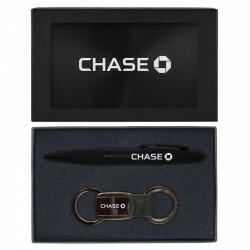 This customized gift set includes engraved ballpoint and Rollerball pens, money clip, business card holder, and key chain, and comes in a black gift box. 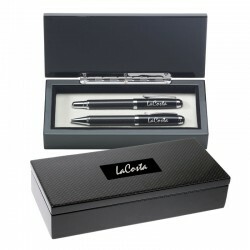 This customized desk gift set includes two executive pens – a carbon fiber ballpoint and carbon fiber Rollerball – and comes in an engraved gift box. 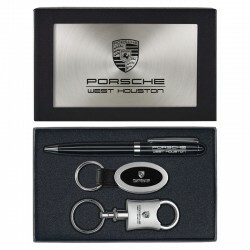 This personalized gift set includes an executive carbon fiber ballpoint pen and leather key tag, and comes in an engraved gift box. 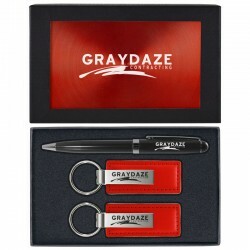 This customized gift set includes a stylish, colorful key tag and matching ballpoint pen, and comes in an engraved gift box. 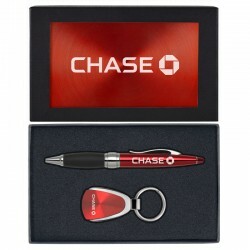 This personalized gift set includes two engraved leather key chains and a ballpoint pen, and comes in an engraved gift box. 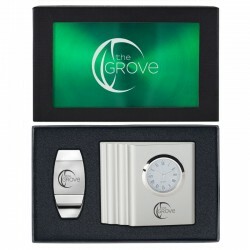 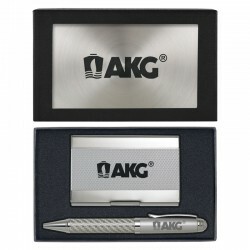 This personalized gift set includes two elegant key chains and a ballpoint pen, and comes in an engraved gift box. 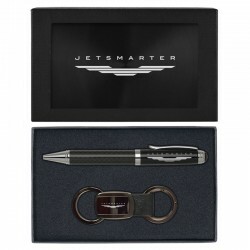 This customized desk gift set includes an executive carbon fiber pen and matching carbon fiber business card holder, and comes in an engraved gift box. 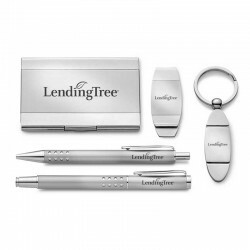 This personalized gift set includes a lightweight ballpoint stylus pen and a distinguished leather and gunmetal key tag, and comes in an engraved gift box. 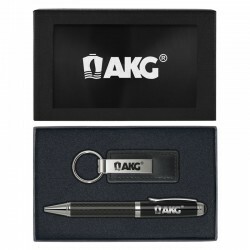 This customized gift set includes an executive carbon fiber ballpoint stylus pen and an exquisite leather and gunmetal key tag, and comes in an engraved gift box. 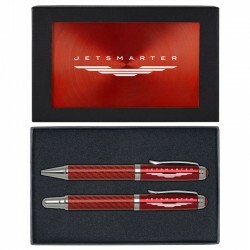 This stunning, personalized gift set includes an executive carbon fiber ballpoint and Rollerball pen, and comes in a one-of-a-kind engraved carbon fiber wooden gift box.